Come join us for a relaxing day of spa treatments. 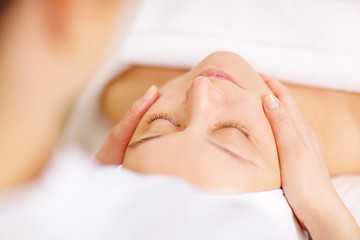 Let us customize your experience by helping you choose the treatments during your visit. We offer a wide range of services with a complimentary glass of wine, tea or coffee to enjoy while you are being pampered by our licensed technicians. Your treatment is personalized from start to finish to give you the most out of your experience at Trésor Day Spa. We are proud to be a local woman owned, non-corporate facility. $5 discount given if you show your Intel, Nike, or Hospital Identification. ​Discount valid for services over $25 & cannot be combined with any other discounts. Restrictions may apply. Serving Beaverton, Hillsboro, Aloha, and Washington County. Get everything you need within the month at a low price by enrolling in one of our affordable memberships. with our many seasonal specials. a week so you don't have to wait. Experience Luxury like no other. If you are looking for a day of relaxation, come join us for a wide range of services that offer you the ultimate spa experience. Your needs are always of the utmost importance when you spend time with our skilled technicians. Please arrive 10-15 minutes early to check in and unwind prior to your appointment. For a relaxing environment, please silence all cell phones and electronic devices prior to entering the spa. Please lower your voice so all Tresor Day Spa guests have a relaxed and peaceful spa experience. Tresor Day Spa requires a credit card to reserve your appointment. Proper schedule management allows us to provide you with the best quality service. We want your experience with us to be fully enjoyable. Our technicians prepare for your appointment prior to your arrival, so we are able to give you our full attention. Please provide Tresor Day Spa with a 24 hour cancellation notice. If 24 hour notice is not provided, we will charge your credit card 50% of the day's total service value. Thank you for complying with our cancellation policy. To ensure the ultimate spa experience for you and other guests, we ask that you do not bring small children to the spa unless they are having services with you. Just click the image links below to get started today. Let us become your Trésor. The Trésor philosophy is that your needs are of the utmost importance. Our skilled technicians are committed to meeting your personal needs and ensuring that you leave with the results you desire. We welcome the opportunity to earn your trust and deliver to you the best service in the industry. We guarantee you get a full 60, 90 or 120 minute service as your time starts when the technician begins the service, not when you enter the room. A locally woman owned company, our goal is to be part of the community. My facial with Crystal was amazing! My skin felt pampered and lovely! She was gentle and explained everything as we went along. I received many complements on how young my skin looked! 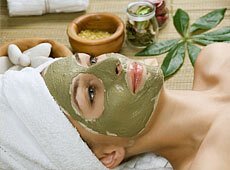 I recommend any of the fabulous facials at Tresor! It will make your day and your week! In a charming old house,you'd expect it to be cold, but it was super nice, the heated bed was toasty and a super nice girl who did my facial was great and I'll go see her again, you can bet on it. As usual I spent another great morning at Tresor. My back was so painful and Jean made it feel so much better. Then a relaxing pedicure from Rebecca. What a great way to start the day. Great spa, Sheral the manager is wonderful. I go there for massage with Aioko . She is amazing! I would recommend this spa. I Love your new location!! It looks so professional. As always the staff are always friendly and look very professional!! I am a Licensed Massage No. 20590. I graduated from Everest Institute of Massage and have been practicing for several years now. Swedish, Deep Tissue, Myofacial Release Techniques, Muscle Energy Techniques, Pre-Natal Massage, Neuromuscular/Trigger Point, Hot Rocks and Cupping techniques. I'd love to make you feel better so make an appointment and come and see me. 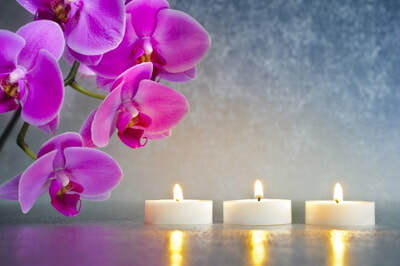 I am offering a discount for first time clients they book and prepay for their next massage. When you re-book your next appointment at your current visit you receive 10% OFF your next service! Due to the increase in the Cost of Products and Labor, it has become necessary to slightly increase the costs of the following services. We are sorry we are forced to have to do this. Feel better by trying one of our Swedish massages or relaxing pedicures. Here at Tresor Day Spa & Salon, we love makeovers! ​So how about a makeover for your MONEY? This is a great opportunity to be your own boss. Full-time/Part-time Stylist Lease or hourly Available. This salon is ideal for an established stylist who is looking for a clean, organized environment to cater to their clients. You bring your own products. The location is in Hillsboro, across from the new South Hillsboro Project. Hourly: Please call to discuss.